When does Bonding between Mother and Baby Actually Begins? Is Kate Middleton trying to Irk Older Royals by Choosing HypnoBirthing to Birth? 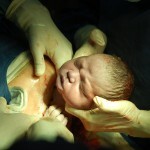 Cesarean birth is a major abdominal surgery with or without medical condition. Elective cesarean is the choice of the mother/couple to have their baby at specific date and time of delivery. This question has disturbed me for quite some times. 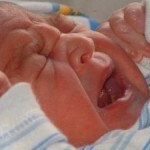 I realised that people choose delivery through cesarean have lots of Fear. These fears are due to fear of childbirth pain, fear of not being able to give birth due to carrying a “big size baby”, fear of the unknown-uncertainly of how birth will turn out to be, the fear of jeopardising the safety of the baby and that of the mother puts woman to think of a definitely outcome. i.e. elective cesarean birth. There are other fears that are not mentioned here which not everyone can accept. Milli Hill, the Founder of The Positive Birth Movement, in her post Should We Be So Very Scared of Giving Birth? is based on research finding that as many as one in 10 women suffered from tocophobia, leading to more women elect for cesarean birth due to extreme anxiety and fear of giving birth regardless of how joyful her pregnancy had been. Is epidural your answer to childbirth pain? 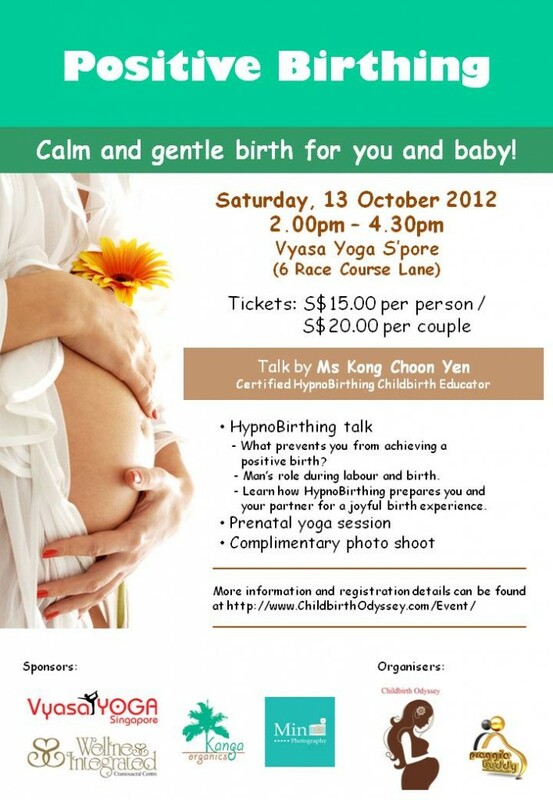 What if you can childbirth is calm and enjoyable. Have fun and get insight into the truth about childbirth in this fun and educational childbirth preparation mini workshop. Seats are limited so register now. Further dig into the subject of birth trauma after I posted two articles on Overlooked Birth Trauma and Mental Imprint from Birth, in many occasions I have learned about a gentle treatment for mothers and babies to settle their emotional trauma from their birth experience through light touch. It is more respectful to babies. As babies are sensitive to touch, babies respond well to these treatments. This type of therapy is called Biodynamic Craniosacral Therapy. It is an effective method in balancing the flow of the “fluid” body by “feeling or listen to” the body’s emotional reaction through light touching certain part of the body. I have recently interviewed Ms Adida Shahab, a Biodynamic Craniosacral Therapist and an assistant tutor training people to become Biodynamic Craniosacral Therapist. She has agreed to share her knowledge in how the thought patterns during pregnancy and birth can shape the mental health and physical health of the mothers and babies. 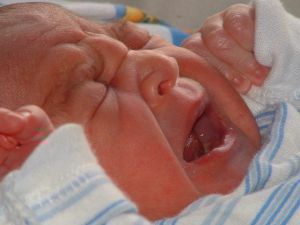 When I was preparing my previous article on Overlook Birth Trauma, immediately a thought emerged to invite an “Insider”- Ms Gladys Lee, a Certified Spiritual Rebirthing/Breathworker to uncover how human behave in relation to how we were born. Knowing that she has a hectic schedule but still I asked her to write an article in my blog and I was thrilled when she agreed to my invitation. Ms Gladys shares with us certain traits we can see in ourselves just how birth experience shapes our beliefs. Below is her article. “Most of us started our life in a safe, warm and loving environment – our mother’s womb. For nine months, we were supplied with whatever we needed without us asking. Nothing was lacking, nothing was in excess. We were the happiest and safest beings on earth. Then, one day, the walls around us started to close in, forcing us to worm through a tinny narrow canal. Our head was being squashed, our face squeezed and our shoulders compressed. Suddenly there was bright light, loud noises and extreme coldness. Recently I had encountered a spiritual talk on Spiritual Rebirther called Minood. A very interesting topic as it relates to birth. Though I did not sign up for the workshop. Later found out from a lady who attended the rebirth session. She shared her experience, remembered vividly her feelings during her journey into this world, her birth. She definitely made me realised what had I missed out. Not long after that, this lady invited me to attend a breathwork rebirth session. Immediately I signed up, not to miss this chance a gain. Although I did not experience the Rebirth, I was amazed by how breath can connect to our brain and retrieve memory. The breathworker John Stamoulos lead me into searching just how birth trauma happens and how does it affect our life. He suggested that I ask my mother how was I born, same time, recommended a book called Birth Without Violence by Dr. Frederick Leboyer. This book gave me the inspiration to replay “the scene”. Pretend You are the Baby – How does it feel “being inside”? Let’s imagine that you are the baby resting in the comfort of your mother’s womb. Warm, surrounded by the buoyancy of the amniotic fluid, squashing against the wall of the uterus, relatively dark and quiet inside, at least not so loud. So much as we think you, the unborn baby cannot feel, hear or see. You feel everything through vibration, rhythm, light and even your mom’s emotion through the placenta. Now you are physically ready to experience the transition into an unfamiliar world.